Nearly six months after Dr. Gregory J. Vincent stepped down as president of Hobart and William Smith Colleges, the legal and diversity scholar has continued to champion education causes through his new role as CEO and chairman of Sigma Pi Phi — also known as the Boulé. Vincent’s unanimous election to lead the international Fraternity that once counted Drs. W.E.B Du Bois and Martin Luther King, Jr., as members, came two months after an anonymous email was sent alleging that he plagiarized parts of his dissertation. Vincent vehemently denied the allegation but acknowledged that there were some citation problems, which officials at the University of Pennsylvania has since allowed him to correct. According to sources at the Ivy League school, those corrections have been made and Vincent’s doctoral degree stands. In April, Vincent resigned as president of his alma mater “to avoid any further stress to the campus community,” and has since turned his attention to advancing educational opportunities for African-Americans through his work with the 5,000-member Boulé. “We’ve always been about promoting educational excellence,” said Vincent about the Fraternity that was founded in Philadelphia in 1904 by a small group of physicians and medical professionals committed to promoting a classic liberal arts education. Now, with Vincent at the helm, the Boulé — which has operated as a discreet organization — has stepped up its efforts to support historically Black colleges and universities (HBCUs), provide scholarships to students and encourage civic engagement. The organization, which boasts a $21 million endowment through its Foundation, has also taken public positions on a wide-range of issues, including encouraging political participation in the upcoming elections. While serving as the spokesperson for the University of Texas at Austin during the Fisher v. University of Texas case which upheld the use of affirmative action in higher education, the Boulé was a steadfast supporter. “How do we educate our communities about voter turnout and voter literacy so that we make sure our vote is not suppressed?” asked Vincent, adding that the Boulé is nonpartisan, even though some of its members, including Democratic gubernatorial candidates Andrew Gillum and Benjamin Todd Jealous are both members. After President Barack Obama announced the My Brother’s Keeper Initiative — an effort to address opportunity gaps facing young men of color — the Boulé was one of the first groups to form a partnership with The White House. Dr. Antoine M. Garibaldi, president of the University of Detroit Mercy and a member of the Boulé said that Vincent — who is also the Senior Counsel to the National Diversity Council — has made HBCUs a central piece of his two-year term. In 2004, the Boulé made a conscious decision to ensure that its 130 member organizations across the country were working with their local school districts and community-based organizations. “Our goal is not to get fanfare, our goal is to help our community and we’ve been doing that since 1904,” said Vincent, who added that the Boulé has promoted a robust campaign to encourage more African-Americans to go on to medical school. As was the case when he was a college president, Vincent is barnstorming the country, raising money for the organization’s foundation, which currently gives out a million dollars in grants a year. In the process, he is also shoring up relationships with partner organizations like Jazz at Lincoln Center in New York, the United States Tennis Association and the PGA. “It takes executive-level leadership to lead this complex organization,” said Vincent, who oversees a small office headquartered in Atlanta and has plans to grow the endowment to $50 million over the next few years. 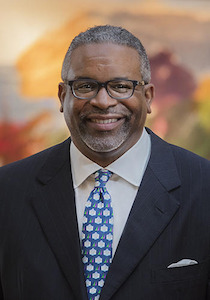 Jackson, who is the Vilas Distinguished Professor of Higher Education at the University of Wisconsin, Madison said that Vincent brought the same transformational leadership vision to Sigma Pi Phi Fraternity through his work with the Grand Boulé Commission on Young African-American Males and Grand Boulé Social Action Committee.